Congratulations on your upcoming wedding! My name is Pam, and I am the owner of Weddings Are Fun. I founded Weddings Are Fun because I love weddings and enjoy this very romantic and sentimental occasion, and I wanted to follow my passion and bring honor to God in my work. I try to operate my business on Christian principles, with honesty and integrity. We emphasize great, caring customer service, and sell quality products at discount prices. 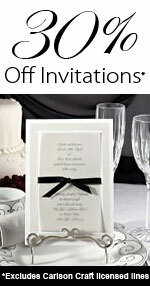 We will always try to bring you the best value on your wedding accessories and favors. We are not a big corporation that is only interested in maximizing profit. We are here to consult with you on your wedding needs. We have many items that you can customize to your own preferences and style. We will help you find the best wedding accessories and favors for your unique wedding, which will make your wedding day FUN! We carry very beautiful and elegant wedding essentials that you and your guests will love, creating sentimental and lasting memories of your special day!